Show your support for the Empire! 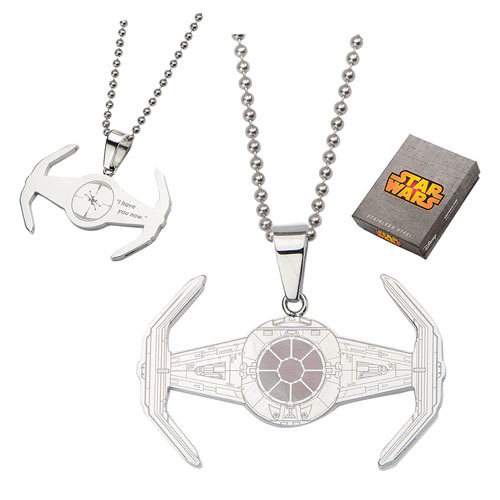 The Star Wars Tie Fighter Etched Pendant Necklace features Darth Vader's iconic vehicle from Star Wars etched on a fashionable pendant necklace. You will love showing off this stainless steel necklace. Start your own galactic adventure today! Measures about 1 1/2-Inches wide.